Are you facing a foreclosure? The best action you can take is to hire an attorney to walk you through the process. The investment will be worth it and the advice you receive might possibly allow you to find additional options for your home. 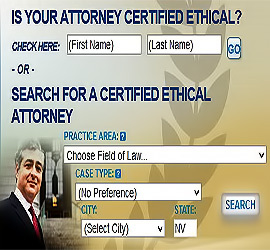 Please contact our Certified Ethical attorneys for assistance. Foreclosure is a terrible situation to have to experience. Unfortunately, the world-wide recession has foreclosures happening on a daily basis. Although you may feel that your world is falling apart, you might find comfort in the fact that you do not have to go through the process alone. There is someone you can turn to who can help you pull through such a difficult time. Taking care in picking out a good lawyer is the first step to getting your life back onto the track of normalcy. It is very important that you choose an experienced lawyer, one who will not only offer you legal support, but emotional support as well. You will not be going through this process alone, and shouldn’t feel that you are. With so many foreclosures happening all over the world, you should know that you aren’t the only one worrying about the possibility of a foreclosure, or facing an imminent foreclosure. There is one small comfort to be had from this experience, however. 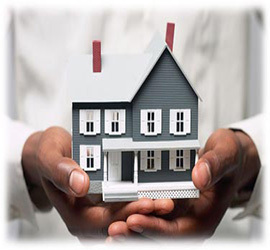 Know that most foreclosures that have occurred recently haven’t been through any personal fault of the owners. Many people fell for a “minimum payment” scheme offered by their mortgage company, in which they could make a smaller mortgage payment for 3 – 5 years (usually this payment does not include interest, which is why it’s so cheap). Then, after the 3 – 5 years is up, the interest that wasn’t being paid for the first couple of years is suddenly tacked on and people are faced with a raised mortgage payment that they are unable to afford. The chances are very likely that you know someone, be it a family member, friend, work colleague, or acquaintance, who has gone through the same thing. They may be able to give you some advice or recommend a good foreclosure lawyer to help you out.